We design, build and install cloud-based heating and cooling control technology. Our innovative building energy management systems drive business efficiencies, reduce energy consumption, and help to support your corporate social responsibilities. We offer fully managed, bespoke solutions, so you can be sure that the optimum balance between environmental conditions, operating requirements and energy use is always maintained. Because we design and build our proprietary technology in-house, our engineers’ expertise on our systems is second to none, enabling us to provide a first-class service all of the time. "In energy management, the most powerful resource isn’t electricity, gas, water or renewables. It’s data." Formerly known as ENER-G, we have over 19 years’ experience of building energy management systems. As Essential Control, our goal is to provide energy saving solutions that transform business efficiencies, improve environmental performance, and generate revenue for our clients. 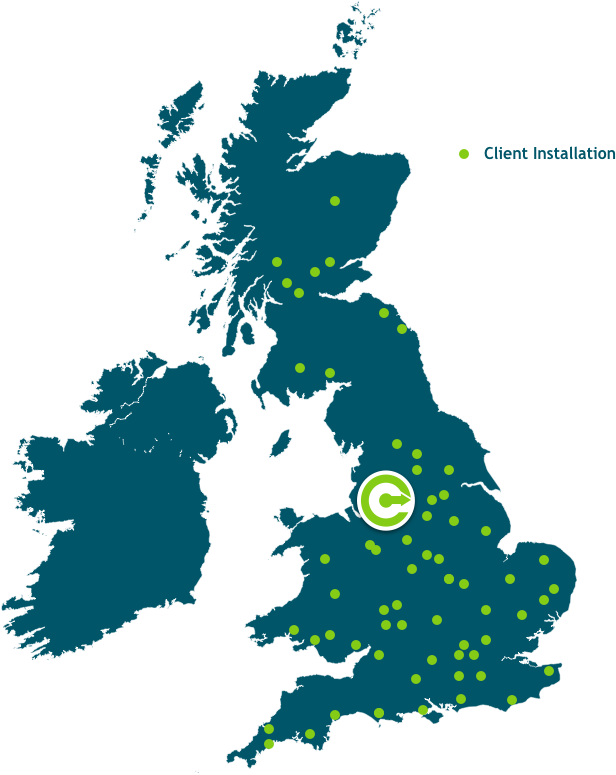 Based in Salford, Greater Manchester, we work with clients throughout the UK. Because we design and build our own systems, our cutting-edge, energy saving technology is completely scalable and entirely bespoke to each client, enabling us to work with businesses of all shapes and sizes. Call us today on 0161 302 5718 or contact us here. Find out how much you could be saving with Essential Control by requesting a free, no-obligation energy survey for your facility.